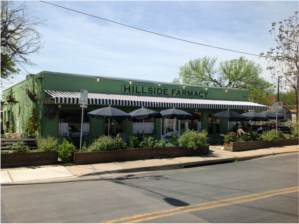 For those who don’t live on the Eastside or frequent it often, Hillside Farmacy is an Austin establishment you could easily miss. If this is true of you, it’s a shame. This farm to table eatery, known for oysters, weekend brunch and delicious sandwiches, happens to display some of my favorite restaurant decor in town. In the 1950’s, the building housed The Hillside Drugstore. 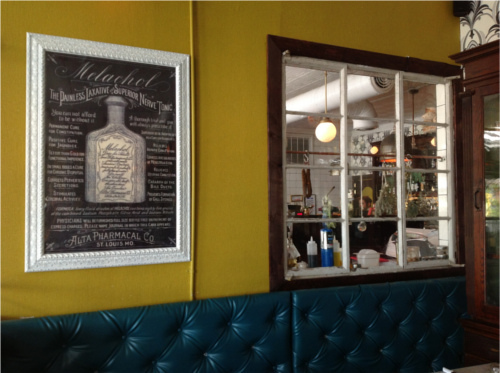 Today, the restaurant plays upon its history with original cabinetry and antique pharmacy displays I loved at first sight. 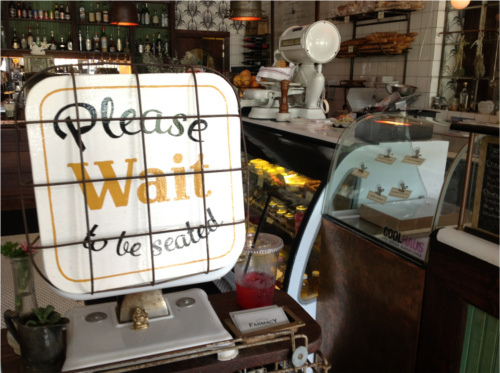 When there are complaints, they usually center around wait times and the sparse menu. Because Hillside Farmacy is not an extremely large venue, and it’s conveniently located near the heart of town, it can get busy at peak times. Plan around the heart of weekend brunch and the height of lunch hour and you should be fine. I visited for an early lunch and had no wait at all. Plus, reservations can be made for groups of six or more. The one-page Day Menu is comprised of breakfast options (served until 1 PM), sandwiches, salads, and a limited number of other choices like peel and eat shrimp and mac & cheese. The Night Menu, also one page, adds six entrees that rotate based on seasonal ingredients and availability at local farms. Speaking from personal experience, the mac & cheese is large enough for a modest meal by itself. With shell pasta, this dish is creamy and fresh, and served in a cast iron pan. My friend swears by the Cook’s Sandwich, which doesn’t currently appear on the menu, but will hopefully reappear with the coming of spring. He had good things to say about all the sandwiches on the menu. Don’t be put off by the short menu. Consider consulting a few online recommendations before you go, or ask your server for assistance. 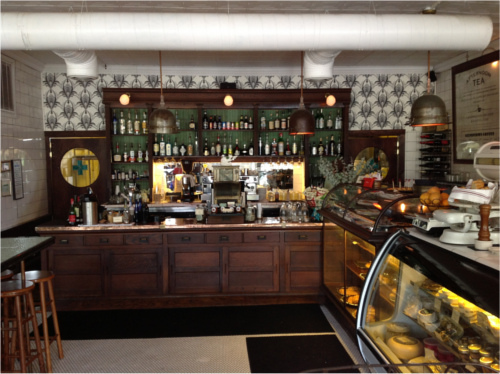 Go for the ambiance, the beautiful decor, and the spirit of supporting local farms. And when you’re finished, come back here and let me know what you think! 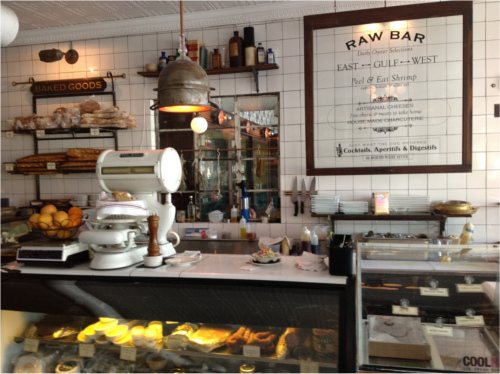 Hillside Farmacy is located at 1209 East 11th St.
Have you been to Hillside Farmacy? What would you recommend from their menu?